His story begins as an insurance salesman in 1958 when he went back home to Sweetwater, AL, looking for sales prospects. He wandered into a Baptist revival when “the Holy Spirit opened his eyes”. Eventually Bob became a pretty famous preacher and lost his way. He experienced all the trappings of fame. Money and women became his focus. Eventually Bob left preaching and became a motivational speaker. As his life spiraled out of control, Bob realized that his only hope was to return to the flock. It’s a pretty familiar story when it comes to famous evangelists but Bob’s life does have a couple of twists worth noting. When he began his Ministry, Harrington moved to New Orleans and became “The Chaplain of Bourbon Street”. He carried his message to bars and strip clubs in the French Quarter. As his fame grew, so did his media savvy. He even hosted his own syndicated television show. In August of 1976, Bob Harrington was featured in a Hustler Magazine interview. A stunt that again proved his ability to use the media for his personal gain. He eventually performed the marriage ceremony between Larry Flynt and Althea Leasure in 1976 and presided over Althea’s funeral eleven years later. As I’ve mentioned before, religious records are a great way to start your oddball record collection. They’re usually produced in small numbers and the cover artwork is generally atrocious. So beginning this week, I’ll be posting a dozen or so religious records that I’ve come across lately. This batch includes some of the more truly awful cover photos that I’ve ever found. I have no ulterior motives to undermine your beliefs. I’m not mocking your religion. I’m just sharing some records that made me laugh or wonder what the artists were thinking when they decided to record the album. 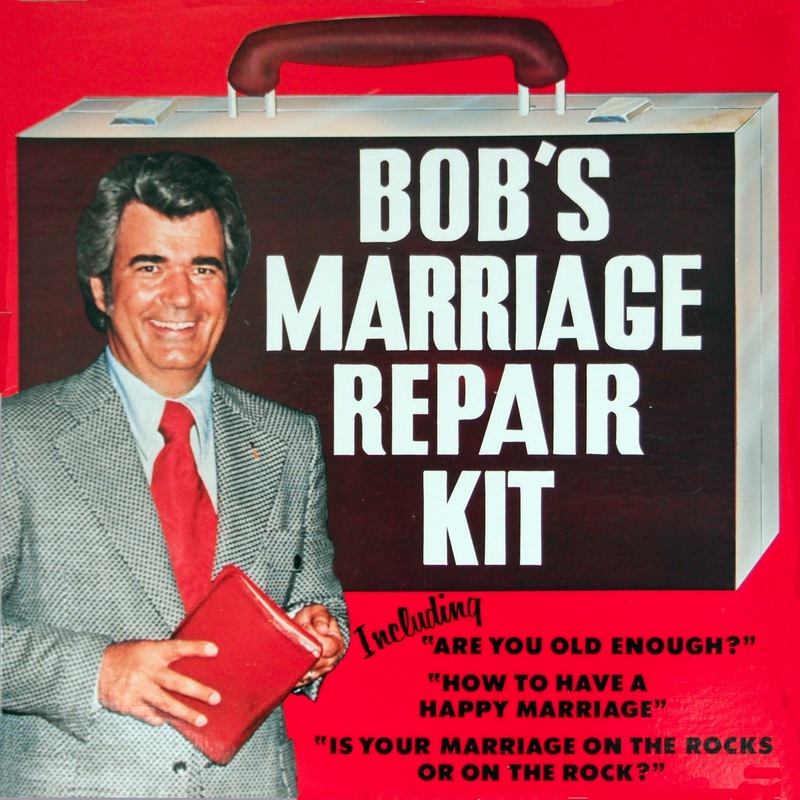 With that disclaimer out of the way, I offer up the first tasty morsel from my religious stack, Bob’s Marriage Repair Kit. The guy at the thrift store was asking $1 for this gem. I said “seriously? One dollar for a marriage repair kit?” He laughed and I forked over the dollar knowing that he had recognized the vinyl lust in my eyes as an opportunity to have his way with my wallet. 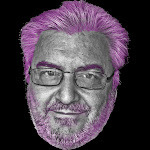 Bob Harrington is the kind of guy that I like to research. His story begins as an insurance salesman in 1958 when he went back home to Sweetwater, AL, looking for sales prospects. He wandered into a Baptist revival when “the Holy Spirit opened his eyes”. Eventually Bob became a pretty famous preacher and lost his way. He experienced all the trappings of fame. Money and women became his focus. Eventually Bob left preaching and became a motivational speaker. As his life spiraled out of control, Bob realized that his only hope was to return to the flock. It’s a pretty familiar story when it comes to famous evangelists but Bob’s life does have a couple of twists worth noting. My favorite part of Bob Harrington’s story is his series of debates with Madalyn Murray O’Hair. A woman who I would describe as a rabid atheist. Here’s a fantastic clip of one of their debates from the Phil Donahue Show. The clip begins 34 seconds into the video. 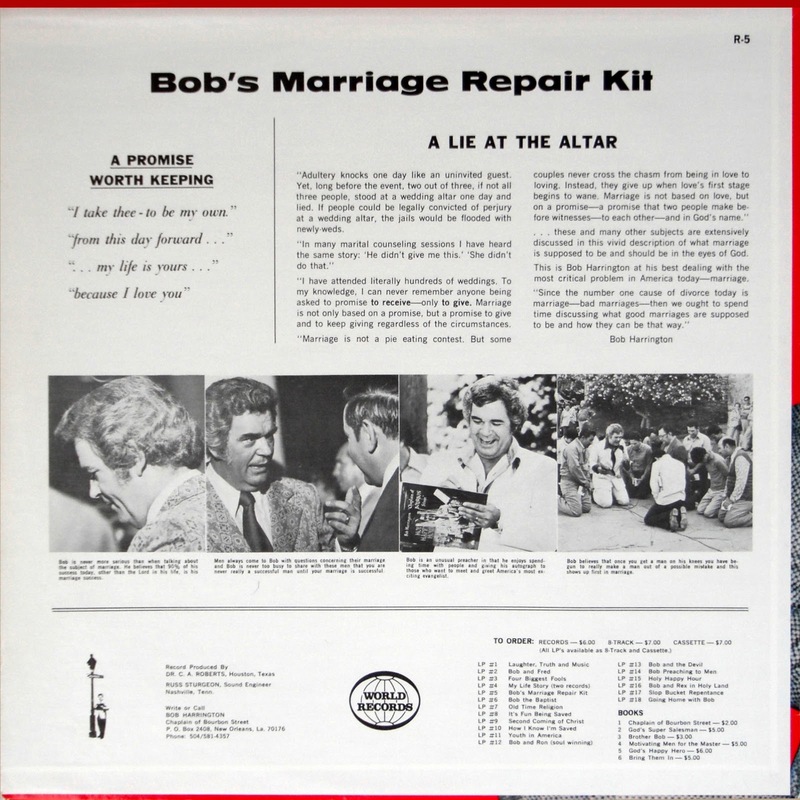 The irony of this album is that it didn’t save Bob’s own marriages. He divorced his fist wife in 1979 and a second wife in the mid 80′s. 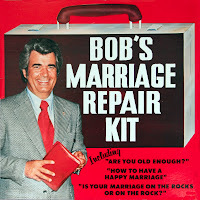 Not a great track record for a guy selling a marriage repair kit. To Bob’s credit, he did seem to get his life back together after he returned to preaching in 1995. Bob married for a third time and from all accounts, has led a peaceful existence since. Not since “The Shawshank Redemption” has there been such a tale of atonement. 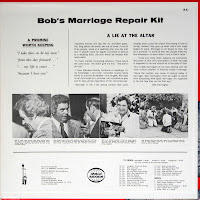 0 comments on "Bob Harrington - Bob's Marriage Repair Kit 1974"